The Dorothea Lange Collection, Oakland Museum of California. Digitized by the Oakland Museum of California. Dorothea Lange, Ex-Slave with a long memory, 1938. © The Dorothea Lange Collection, the Oakland Museum of California, City of Oakland. Gift of Paul S. Taylor. Dorothea Lange, One Nation Indivisible, 1942. © The Dorothea Lange Collection, the Oakland Museum of California, City of Oakland. Gift of Paul S. Taylor. Fifty years ago, famed documentary photographer Dorothea Lange (1895–1965) and her husband, Paul S. Taylor (1895–1984) made the remarkable gift of all of her non-public domain photography collection and archives to the Oakland Museum of California (OMCA). That adds up to about 25,000 negatives and 6,000 prints, plus letters, captions, jewelry and other memorabilia. Although a small selection of Lange’s photographs are always on display in OMCA’s history and art galleries, the bulk of the collection is preserved in secure cold storage for use by researchers and selected special purpose licensees. Now over 130 of Lange’s fabulous black and white gelatin silver prints, plus new digitally printed photographs from her negatives, accompanied by unedited proof sheets, memorabilia and historic objects are on show at OMCA in a “must see” exhibit, which not only presents stunning images that retain their artistry, vitality and relevance, but also delineate Lange’s importance in the history of documentary photography. “Dorothea Lange: Politics of Seeing” is divided into three subject matter segments: Depression Era; World War II at home; and the lesser-known, post-war California. Displayed also are compelling works by three excellent contemporary photographers who were inspired by Lange: Janet Delaney, Jason Jaacks and Ken Light. For those not familiar with Lange’s life and career, it’s best to preface the exhibit by watching the three video segments from “Dorothea Lange: Grab a Hunk of Lightning” (2013), the PBS American Masters special, which are part of the exhibition. They feature interviews with Lange and explore her life and work. Her most recognized portrait, “Migrant Mother, Nipomo, California” (1936) has pride of place in the gallery, as do six preliminary photographs of the subject, Florence Thompson, with her children. Thus, one can observe Lange’s image choices and cropping techniques. 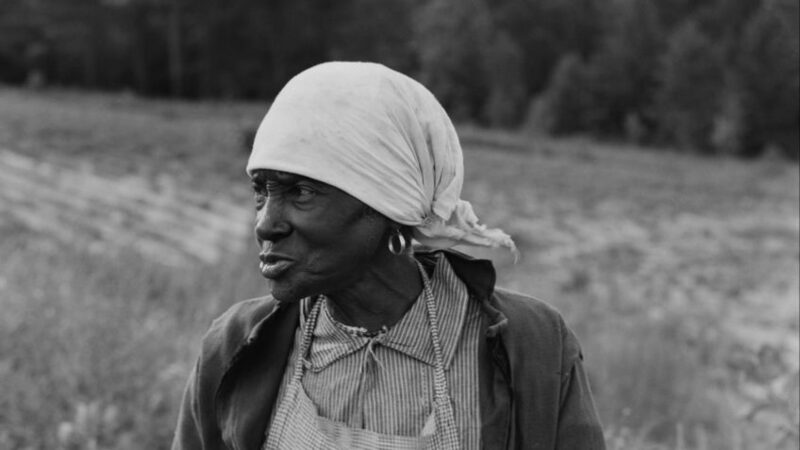 Other intimate portraits taken in the American South portray strong and dignified African-American sharecroppers living in poverty. Lange’s photographs of the home front during World War II consist of the integrated workforce of Kaiser Shipyards in Richmond, California, and her powerful Japanese-American Internment pictures. When Lange was engaged by the United States Office of War Information to record the Japanese internment, she was to demonstrate to the public that the process was orderly and peaceful. But Lange’s masterful pictures portrayed the sorrow and injustice and thus were censored and withheld from the public for more than 20 years. “Japanese Children with Tags, Hayward, California” (1942) is particularly poignant and insightful, as is the oral and visual section of OMCA’s history gallery on this subject. Lange’s post-war photography, the third section of the exhibit, contains her least known work. Not to be missed are her photographs with Pirkle Jones for a special issue of “Aperture” magazine, titled, “Death of a Valley,” which captures peaceful images of the Berryessa Valley before it was dammed. Lange’s 1960 “Public Defender” article in “This Week Magazine,” which follows Public Defender Martin Pulich of Alameda County as he interacts with his clients, in jail and in court, is more striking for the concept than some of the imagery, although some, like, “Untitled (Defendant’s Wife)” (1957) is magnetic. “Dorothea Lange: Politics of Seeing” is artfully curated by OMCA’s Curator of Photography and Visual Culture, Drew Johnson, and reinforces Dorothea Lange as one of the great social realism photographer of the 20th century. This exhibition will be at OMCA through August 13, 2017, after which it is scheduled to travel to the Frist Center for the Visual Arts, Nashville, and the Jeu de Paume, Paris. This article originally appeared on Berkeleyside.com. ©Emily S. Mendel 2017 All Rights Reserved.